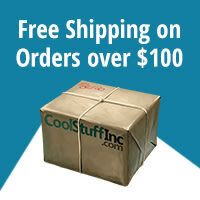 More Than 250 High-Quality Components! There's a great big universe out there, and it's just waiting for you to go out and discover what it has in store. Your faction has been preparing for this moment for what feels like an eternity, and the time has finally come to set out. Explore the universe, discovering new planets the likes of which you've never seen! Expand your empire, settling those planets and growing your influence! Exploit the resources these new settlements provide, using them to build new technologies and grow your military might with fantastic and powerful new ships! And finally, Exterminate any new found threats to your galactic empire, be it hostile aliens or another faction seeking to stake their claim! 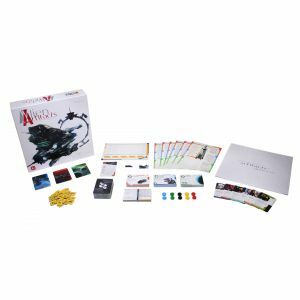 Alien Artifacts is a strategy card game, designed by Marcin Senior Ropka and Viola Kijowska, for 2-5 players that seeks to condense the 4X experience into an hour. Buy Planet, Technology, and Ship cards to expand your options and use your resources to construct them and grow your empire. Build up a mighty engine, and leverage your strengths to become the finest empire in the universe! This is Alien Artifacts! 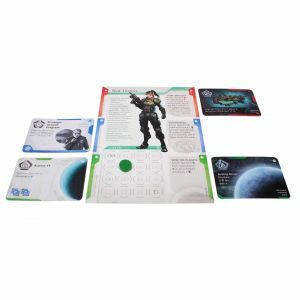 Alien Artifacts primarily revolves around purchasing and building cards from three distinct decks: the Planet Deck, the Technologies Deck, and the Ship Deck. Purchased cards are Under Construction until the resources are gathered to add them to your empire, granting you new actions or benefits. However, your resources are limited and you can only deploy so many at a time, so expanding your empire becomes a balancing act of acting now and saving for later. But what do each of the three decks have to offer to your growing empire? 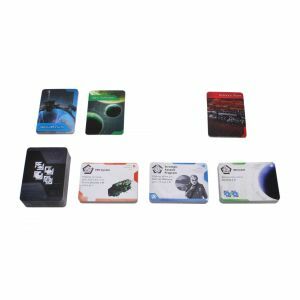 The Planet Deck represents the exploration of the universe and the expansion of your empire. You can use your resources to either settle new planets you've discovered, or exploit the planet's abundant natural resources, providing a few additional cards to choose from in the future. Settle planets provide a permanent bonus to your empire, such as reducing the cost of settling new planets, discovering new technology, building new ships, or giving your credits just a little more weight in the galactic economy. 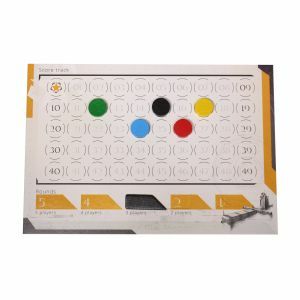 The Technologies Deck provides you with wondrous and powerful new technology that give you new actions to take on your turn or set up goal-oriented ways to score victory points at the end of the game. Victory points are crucial to coming out ahead over the other factions, but some technologies might provide options that are just too good to pass up. The Ship Deck is all about increasing your empire's mobility and ability to attack the other factions and hostile alien forces. 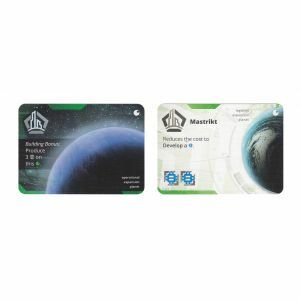 Ship cards can either be built to increase your assembly limit and the number of resource cards you can play in a turn, or they can be used to attack alien forces or the other factions. Waging war is risky. You could lose your ships and gain nothing for your trouble. 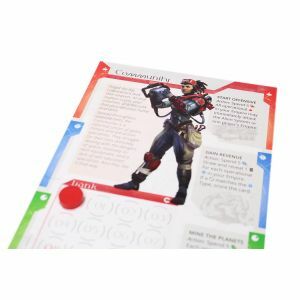 But, if you're successful, you could find yourself ahead with some powerful Alien Artifact cards and your opponents may find some blockades keeping them from taking advantage of the cards in their empire. 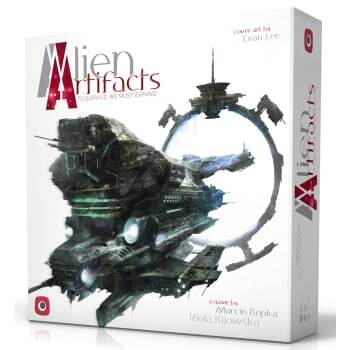 BoardGameGeek user ArcanumTL has created a solo variant for Alien Artifacts! Officially endorsed by the designers and Portal Games, The Void allows you to set off on your own and take on a new threat to the universe, The Void. This new threat absorbs everything it touches, attacking if your empire grows too large and constantly consuming anything in its path. Can you overcome the new threat in this challenging solo variant? 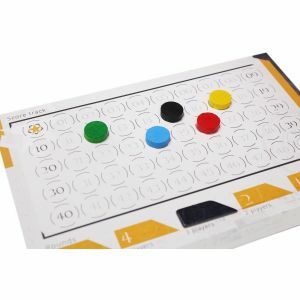 Download the rules here and try it for yourself! See what critics are saying about Alien Artifacts! Check out The Dice Tower's review and see what Tom, Sam, and Zee think of Alien Artifacts! 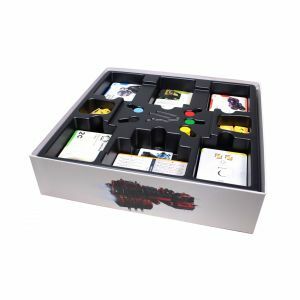 "A clever adaptation of a 4X game into a card game." "It gives me the feeling of a 4X game in an hour." "It just works. It's simplicity itself, this game." "This is my kind of game!" "Everything in it is fun. It works!" 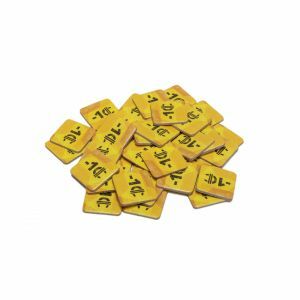 "I think it's a fantastic card game. I think a lot of people are gonna like this one." A 4X Game in Under an Hour! 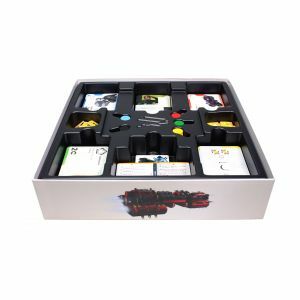 If you're looking for a 4X game that delivers the sense of exploration and building up a powerful empire in a smaller package, then Alien Artifacts is for you! Pick up your copy today, and start building up your empire!